Park View Montessori school has been serving families since 1990. 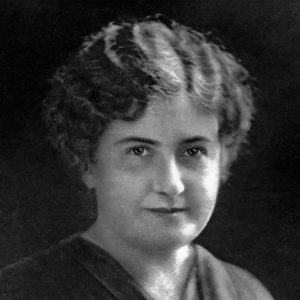 The Montessori Method of education was developed as a result of the observations and insights of Dr. Maria Montessori, and has spread all around the world. At Park View, the classrooms are carefully prepared to offer a safe, fun environment where each child explores and progresses at his own pace, guided by a caring, experienced, professional educator. Park View Montessori offers two early childhood programs: a Toddler program for 18 months to three year olds, and a Preschool program for three to six year olds. The three year cycle of preschool culminates in the Kindergarten year, and includes a special Enrichment Class in the afternoons. Throughout the Montessori experience and especially in the Kindergarten year teachers intend to allow children to experiment on their own (within the limits of safety and good manners) and think for themselves. This autonomy gives children not only a sense of competency but also one of social responsibility. Developmentally appropriate lessons offer the child experience with materials and activities across a broad-spectrum curriculum. Throughout all the classrooms, children practice the skills of daily living: developing small and large motor skills, eye-hand coordination, concentration, mental and physical stamina. Dr. Montessori’s unique material appeal to all the senses and allow the child to refine the tools he’ll use to learn about the world: vision, touching, hearing, smelling and tasting. Math activities provide real objects to count and sequence, instead of mere recognition of numerals. Language activities develop vocabulary and precise use of the spoken and written word. As we guide the child’s development, we are also lead by them as the reveal their interest to us, so that one class might learn about the animals, the weather, the landforms, the songs and the folktales of another culture, while another class delves into learning about seeds and plants, their nomenclature, parts and types, and their processes of growth. Dr. Montessori stressed the importance of offering an environment to meet each child’s unique needs. To that end, Park View Montessori School is tree-nut and peanut-free. Morning and afternoon snacks and a hot lunch are provided daily.